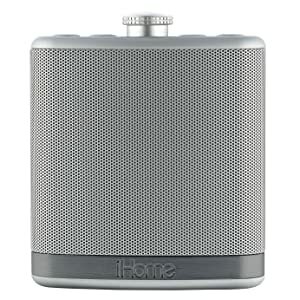 The iBT12 is a Bluetooth-enabled wireless portable speaker with built-in speakerphone capability. This speaker includes an aux-in jack for playing almost any audio device equipped with a 3.5mm headphone jack. You can stream wireless digital audio via Bluetooth from your iPhone, iPad, Android, Windows–most Bluetooth devices. 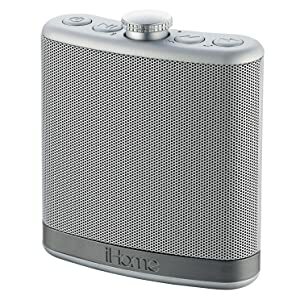 The built in rechargeable battery can provide up to 8 hours of music playing time on a single charge. The Aux-in jack allows you to connect and play music from any device with normal headphone jack. Custom carry case protects the finish of your speaker and still lets the music come through loud and clear. Case includes a carabiner clip to easily attach the case to a handbag, backpack, etc. The built-in speakerphone allows you to enjoy clear hands-free phone conversations thanks to the built in echo cancellation circuitry. Convenient Answer and End Call controls. Adjustable speakerphone volume level. Custom Sound Case with carabineer included.